The Palos Verdes Peninsula hugs the coastline of the South Bay of Los Angeles. Coastal fog is a common phenomena and another reason it is so important to have a photographic record of the view. The Tuesday tour of new listings in Palos Verdes included a number of homes with panoramic views--all were obscured by heavy fog. However, two agents had gorgeous brochures with stunning view shots prominently displayed for those unfamiliar with the view. 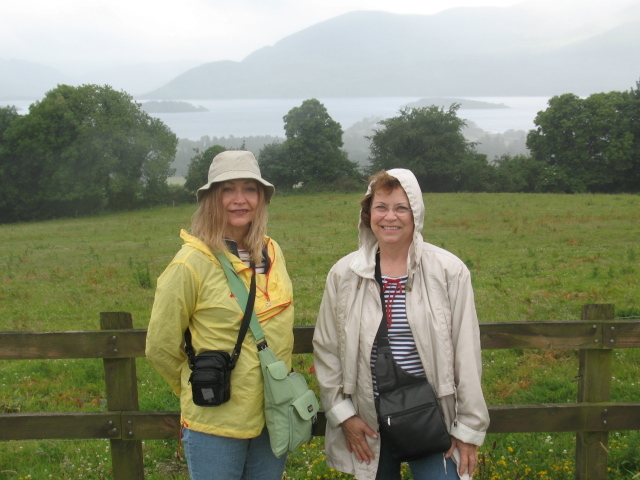 Southern California is noted for sunshine (My sister and I discovered Ireland is not), and we do have more than our fair share of such days. However, it's a savvy agent who realizes a panoramic view may be less than 100% when a prospective buyer tours the property, and captures the view in all its glory on the glossy "take-with-you brochure. It's a weather backup plan worth having in place even in sunny Southern California. More on Living in Palos Verdes on my blog. Good morning Norma. A lovely picture and a great story: wonderful combination. Fog (and hazy mist) was everywhere in Ireland and England. Thankfully, it's not quite so common in Southen California, but we do have our share of coastal fog. Norma, The sun will burn that marine layer off in no time. Hey - at least its not snow!!! I've noticed that the savvy agents here in Marin also make sure they have their view properties in Sausalito, Tiburon, Belvedere and other coastal towns documented with photos for their open houses. On heavy fog days you wouldn't even know there was water nearby, let alone a world-class city like San Francisco just across it. You have got to love today's weather. And yes, I always wonder why there are MLS photos showing rain-soaked landscaping in L.A. You would think they could find a day when it wasn't raining?